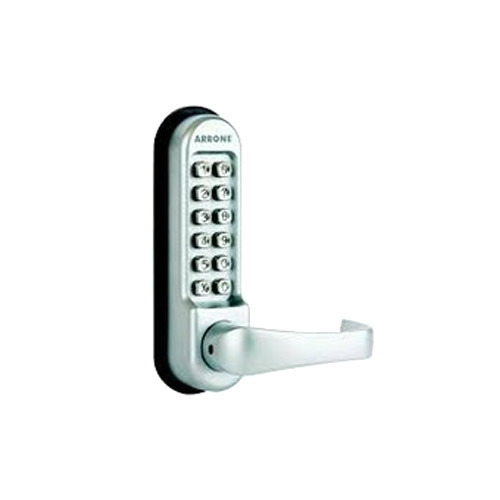 Our service range includes a wide range of digital lock. The dedication of our workforce coupled with our spacious warehouse facility help us engage in the supply and trade of superior-quality Digital Lock. They are equipped with a touch-screen and enable automatic locking without the need for a lock and key. They are quick, efficient and reliable. These locks provide a dependable security solution to our esteemed clients. These locks are equipped with a burglar alarm and a fire-detection sensor to prevent unauthorized entry into the house and the possibility of fire during the absence of the house owner. They have a reliable multi-level security code entry. They are equipped with an auto-lock and relock facility. They operate on a battery and have a long battery life.